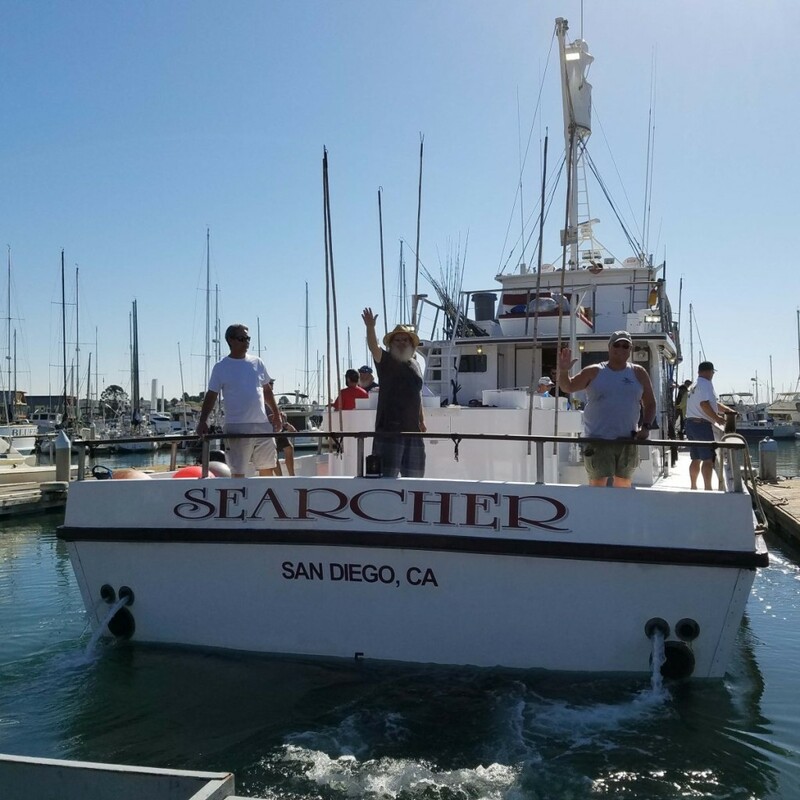 There were 13 Searcher passengers watching today as the crew offloaded the catch from our prior ultra limited load trip – and they were eager to board and begin their own luxury fishing vacation to Guadalupe Island! Captain Aaron recommended heavy tackle (including 80# fluorocarbon, an 80# rod with a 2-speed reel with 100# spectra, and 4/0 circle hooks were the recommendations today) and the anglers were quick to review their gear to prep for the action he is anticipating! We will post his regular reports from the field HERE – check back daily!